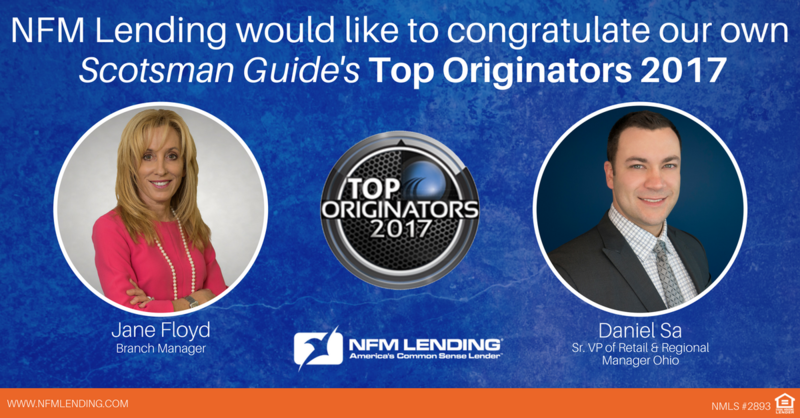 LINTHICUM, MD, March 28, 2018 — NFM Lending is proud to announce two of its loan originators, Jane Floyd and Daniel Sa, have been ranked on the Scotsman Guide’s Top Originators 2017 lists. Jane Floyd, out of Tampa, FL, was ranked in both Top Dollar Volume and Most Loans Closed categories. She ranked #196 out of 500 in Top Dollar Volume and #99 out of 300 for Most Loans Closed. Daniel Sa, out of Columbus, OH, was ranked in the Most Loans Closed category. He ranked #191 out of 300. Over 3,000 originators applied for consideration, with only 641 making the ranks. 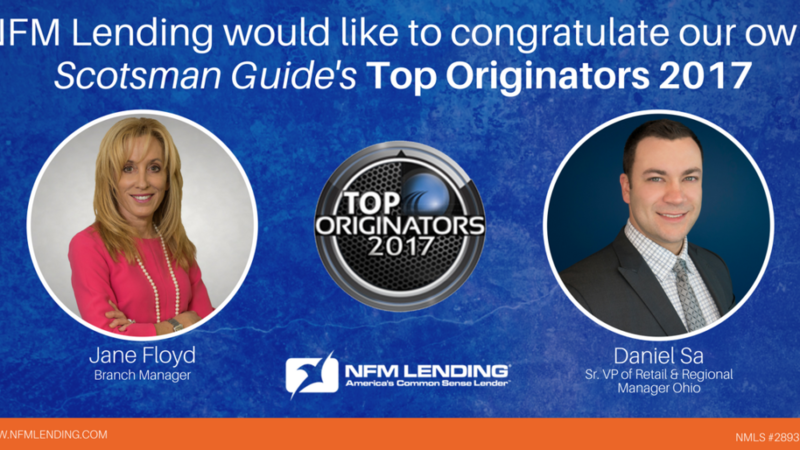 To be considered for the rankings, entrants must either have had at least $40 million in loan volume, or personally closed 100 home loans in the 2017 calendar year. Floyd had over $92 million in loan volume and closed 383 loans in 2017. Sa closed 312 loans.